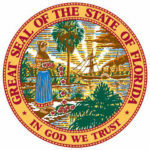 Secretary of State Laurel M. Lee announced the selection of recording artist Bertie Higgins, painter George Inness, Jr. and sculptor Ann Norton as the 2019 inductees into the Florida Artists Hall of Fame. The induction ceremony will take place this Saturday, April 13, 2019 at 4 p.m. at The Edison Restaurant in Tallahassee in partnership with the annual Word of South Festival. The 2019 Florida Folk Heritage Award recipients, which were announced in January, will also be presented at the event. The Florida Folklife Program, a component of the Florida Department of State’s Division of Historical Resources, documents and presents Florida’s folklife, folklore and folk arts. Funded in part by the National Endowment for the Arts, the program coordinates a wide range of activities and projects designed to increase the awareness of Floridians and visitors alike about Florida’s traditional culture. Established in 1979 by the legislature to document and present Florida folklife, the program is one of the oldest state folk arts programs in the nation. For more information, visit flheritage.com/preservation/folklife.